Hello folks! Summer's pretty much here, so I've emerged from my blog hibernation to send my best wishes to you all AND share a couple of summery tips with you. I've written about this product before, but it's just fantastic. (No, I don't work for them.) It's so good at keeping your drawn-on eyebrows on your face that I have long since forgotten how upset I was at Benefit Cosmetics discontinuing my previous sealer-of-choice She-Laq. Where it really beats all the other sealers out there, however, is the lack of shine it dries with — after applying it over your eyebrow makeup you're left with a pleasingly matte finish that gives an extra-realistic touch to your new brows. I should also mention that you can now buy this product online on the Makeup Shop section of the Bald Girls Do Lunch website, which is awesome! If you're dismayed by how shiny your eyebrow makeup looks a few hours after application, simply press one of these oil-absorbing blotting sheets carefully over the eyebrow region and lift it gently away. Voila: the grease is gone! 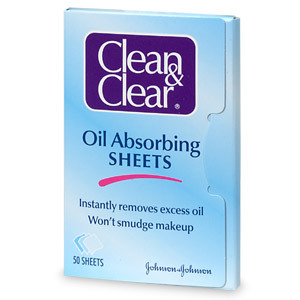 There are a lot of oil absorbing sheets out there in the chemist's/drugstore, the best probably being Clean and Clear's lovely, powdery sheets. 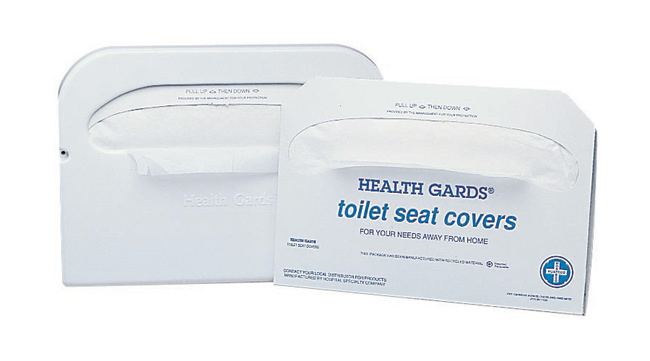 I do have a slightly weird confession though: whilst they aren't common in the UK, you know those toilet seat cover sheets you'll find in a little dispenser in pretty much any US restroom? They are amazing at absorbing oil, and you can tear off as much as you need. They are also FREE, and come on; it's not like you're grabbing a used one! Stop looking at me like that! If you're in a bind, or just really object to the toilet seat cover thing, a sheet of toilet paper or tissue is also pretty good at blotting shine from your brows too. Enjoy your shine-free summer! Love, Carly. So glad to see you posting again! Question: Have we found anything yet that will help our eyebrows to stay on during a swim? I love to go to the beach during the summer, but don't want to come out of the water sans sourcils if I went in with them! Hello Unknown! Unfortunately, I don't think there's any one product out there -- at least not one I've found -- that can keep brows on 100% after a dip. If anyone finds it, I'd love to hear about it! Thank goodness for your blog, all your posts are so helpful! Just a quick question regarding using powder for eyebrows - do you ever find that they look 'sparkly' due the elements in the eyeshadow? If so, what do you do to avoid this? Another blotter I find works really well is The Body Shops tea tree oil blotting tissues papers. Awesome at blotting and also the tea tree helps keep the area nice and clean. (The Clean and Clear is my second favorite after The Body Shop ones). 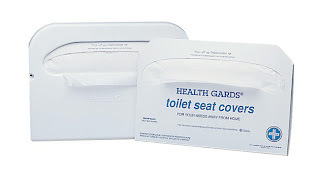 I laughed so much at your toilet seat cover comment I had to share it with a coworker! I mainly just wanted to thank you for your valuable videos and product reviews. I've just started going through chemo and I was thrilled to see a beautiful, smiling woman showing me how to do all the things I need to learn to do...and with such enviable confidence. Glad my Clean & Clear sheets will serve more than one purpose & now I know how to scam free backups. Thank you Carly, you rock. For the base color, you can use pretty much any brown and black eyeshadow (although I use Rimmel London's out of habit.) However, for the pencil I strongly recommend Rimmel London's eyebrow pencil in Brown-Black (you'll find it in Target, some Walgreens and online at drugstore.com). 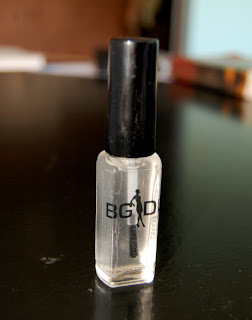 For your sealer, you NEED the Bald Girls Do Lunch sealer I rave about in this post. You can use any liquid eyeliner that you like and that has staying power (I like Rimmel London's "Exaggerate" liner of course, but that's just my Brit patriotism again.) As for lashes, I strongly recommend Ardell lashes in the style "Luckies" or "Demi Wispies", which you'll find in Target, Bed Bath & Beyond and some Walgreens. As for your translucent powder: you can use ANY kind, really, but I like Almay or Cover Girl's powders. You are absolutely beautiful and I appreciate this site, having just found it!! My eyebrows are 90% gone - they just gradually fell out between my 3rd baby and my 4th - I don't know why and neither does my dermatologist. No luck regrowing them! So far my scalp hair and eyelashes are still there! Anyway I have been doing my best to try to make natural brows with eyeliner pencils but your tutorial gave me a bunch of new ideas and products to try, I am very excited to try it out (ordered the BGDL lacquer and bought the other staples at Ulta!) I appreciate you taking the time to put together these tutorials - it is an unusual problem to have and it is nice to hear from someone else who has mastered the art of creating natural looking brows from scratch! Thanks again. Thank you for sharing the post! The tips are very helpful for me.